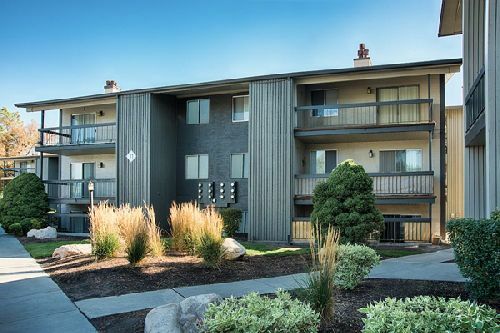 TruAmerica Multifamily, in a joint venture with an institutional partner, has acquired Country Lake, a 253-unit multifamily community in Salt Lake City. The asset traded for $45.7 mil, or $181k/unit. Built in 1973, Country Lake is located at 335 E. Woodlake Dr, east of I-15 and south of Lincoln Hwy. The property features a mix of one- and two-bedroom apartment homes, each with spacious bedrooms, oversized closets and private balconies. Community amenities feature a pool, clubhouse with Wi-Fi access, central garden, outdoor barbecue area, dog park, tennis court and a playground. Country Lake represents a substantial value-add opportunity for TruAmerica with a large percentage of units having remained virtually untouched since the project was built in 1973. TruAmerica will undertake a significant capital improvement program including upgrading apartment interiors, renovating all community amenities including adding a fitness center as well as refreshing exteriors and landscaping to enhance the curb appeal. Steve Gebing, Cliff David, Danny Shin and Brock Zylstra of Institutional Property Advisors represented the seller in the transaction. This is the fourth apartment community in Salt Lake City for TruAmerica and its first since October 2015, when in partnership with The Guardian Life Insurance Company of America, it acquired a two-property portfolio for $102 mil. With this acquisition, TruAmerica has boosted its portfolio in the Salt Lake City region to 1,595 units. According to Axiometrics, occupancy in Salt Lake City has averaged 95.9% over the last 12 months. In addition, rent growth, which has averaged 5.2% over the past three years, is expected to continue with a five-year average rent growth of 3.6%. Country Lake is located in Salt Lake City’s “Silicon Slopes,” an area densely populated by tech companies, including SanDisk, Intel/Micron and Adobe Systems. This tech cluster is one of the primary demand drivers for the region’s large concentration of white-collar workers, including a growing number of millennials. This has contributed to Salt Lake City as being one of the major metros for median household income growth and median home price growth, according to Forbes Magazine.